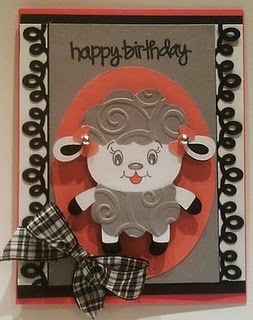 Today we would like to announce the winner of Challenge #22- Lions & Lambs! The winner of the Top Chef prize was chosen by Random Organizer. The winner is... Juelmarie- J and J's Yummy Creations. 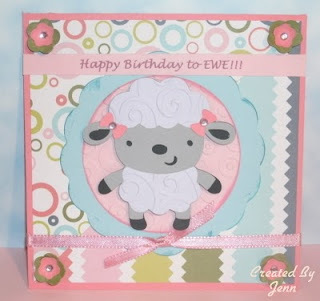 Juelmarie created this adorable birthday card using the Create a Critter Cricut cartridge. You can "pick up" your top chef button on the left column and proudly display it on your blog. 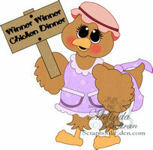 As the winner Juelmarie will receive her choice of digi stamp or cutting file from Papercraftingworld.com. 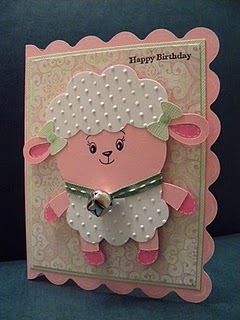 Juelmarie, please contact Madison at FunkyCards @Charter .net (no spaces) within two weeks to claim your prize. The Top Three Chefs were chosen by the Cooking With Cricut Design Team. Thank you all the wonderful crafters who participated in this week's challenge. You can "pick up" your top chef button on the left column and proudly display it on your blog. 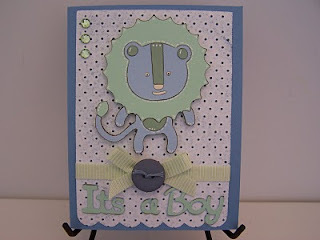 YEP…That’s Right…Robyn from MyPinkStamper.com has so graciously donated one of her super cute and punny Stamp Sets for today’s challenge. Please be sure to head over to Robyn’s site and check out all the ADORABLE STAMPS she sells…Plus while you’re there, you can enter some great giveaway’s and get some great Cricutliciously Crafty Inspiration! One Randomly selected winner from all entries this week will be chosen to receive one of these adorable sets! So get your funny, punny quote or saying thinking caps on and get your projects in! You have until Tuesday of next week to enter to become eligible for our prizes:) Just link your project back to our homepage. Congrats Juelmarie, Jenn and Maquel!! YAY!! Thank you for choosing me as a Top 3!! Congrats to everyone! !